This morning, Koush’s Carbon app is now out of beta and available in Google Play. It seems that testing went very well and everything was ready for the prime time. 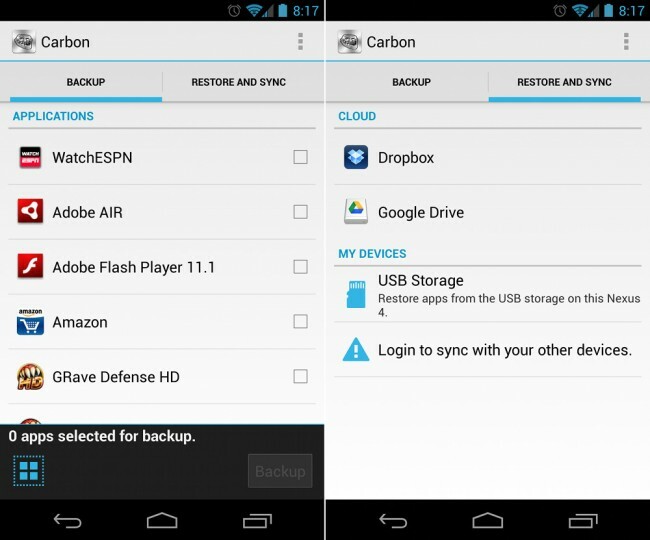 With Carbon, users root and non-root can backup their apps and app data to several different places for safe keeping, including the cloud. It’s perfect for people like me who are looking for a third party means of transferring data between devices. The app is free, but if you want the cloud features and no ads running on your phone, then it will cost your $5 premium license. Not too bad for an app that would get some heavy usage if you intend on using it to its full potential.